New siding, along with a well-maintained roof and energy efficient windows can increase your home’s value and dramatically improve your home's curb appeal. Discount Residential is your one-stop source in Georgia for all of your windows, roofing and siding needs! 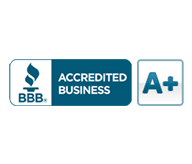 We specialize in quality services at discount prices in Canton, Woodstock, Calhoun, Rome, Chattanooga and surrounding areas. 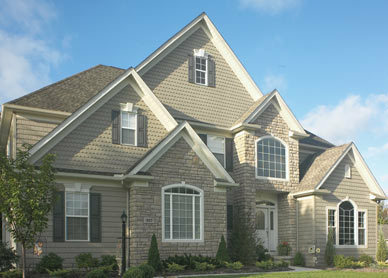 Fiber Cement Siding - Hardiplank® Siding is a colourful and versatile product that flies in the face of convention. Not only does it offer freedom, flexibility and freshness for your designs, the warranty guarantees that it will still look great year after year. 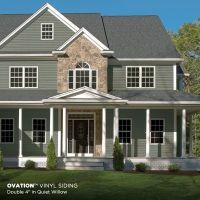 Hardiplank® Siding has the texture and good looks of wood but the durability to stand up to the toughest conditions, including the ability to resist fire and insect damage.